Stand Up NY welcomes Elon Altman to our Headliner Series! Elon Altman, the winner of Season 3 of New York's Got Talent, is a stand-up comedian born and raised in New York City. With a rapid and clever wit, street smart personality, and sarcastic dry humor, Elon's comedy has been described by famed journalist Jeffrey Gurian as "very funny" and with "very strong writing." 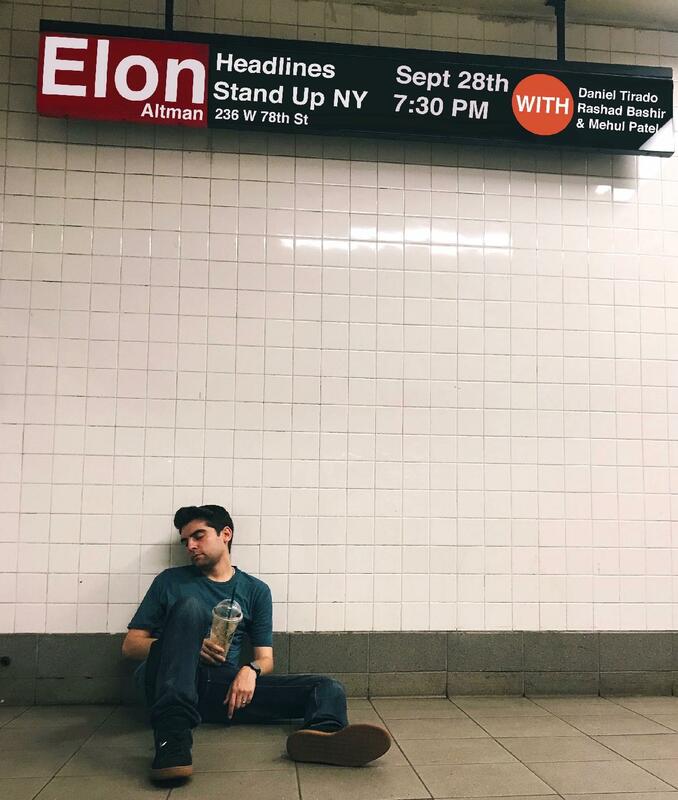 Elon has opened for Dennis Miller and Demetri Martin, and has headlined Carolines On Broadway multiple times, including as part of their Breakout Artist Comedy Series. He has been featured on AXS TV's "Gotham Comedy Live" and was runner up in NBC Universal's "Cozi TV Comedy Search."